Lovely blooms, what’s the pink one called? Thanks! The pink is a lilac growing right next door in my neighbor’s garden. 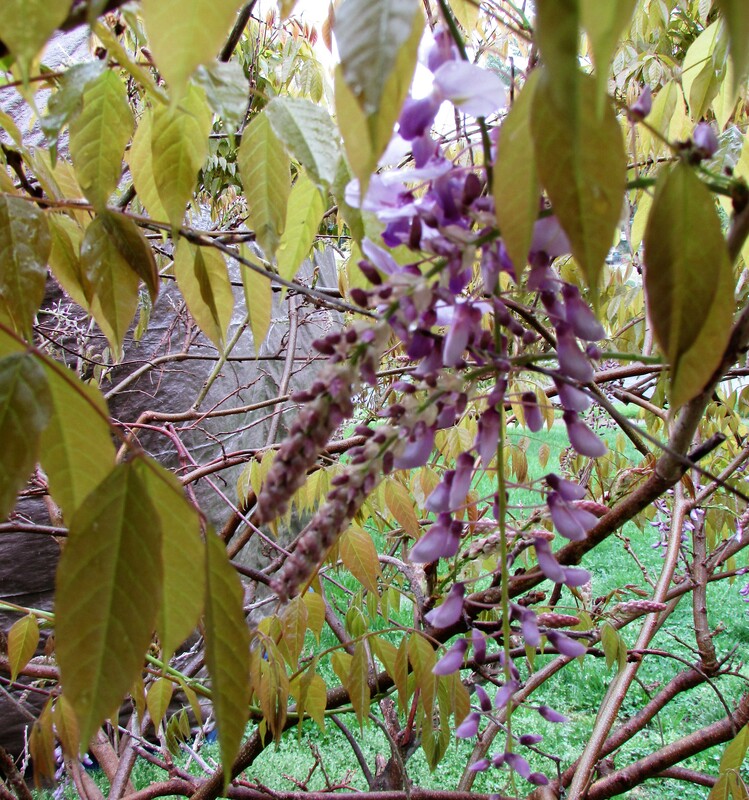 The tree also blooms in many shades of purple and white. Thanks for stopping by! The color theme seems to be violet, lavender and magenta here. I love them but are they the actual spring colors ? 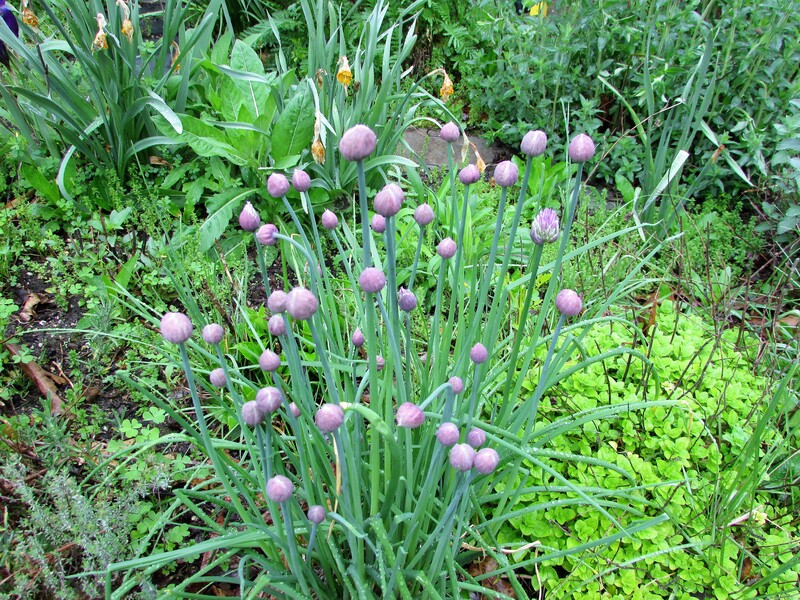 Your plants are doing well – did the rains affect you much ? Purple is a really popular spring color here in all its many shades. A lot of the first flowers are yellows and lavenders, all the way to deep purple. They go well together. 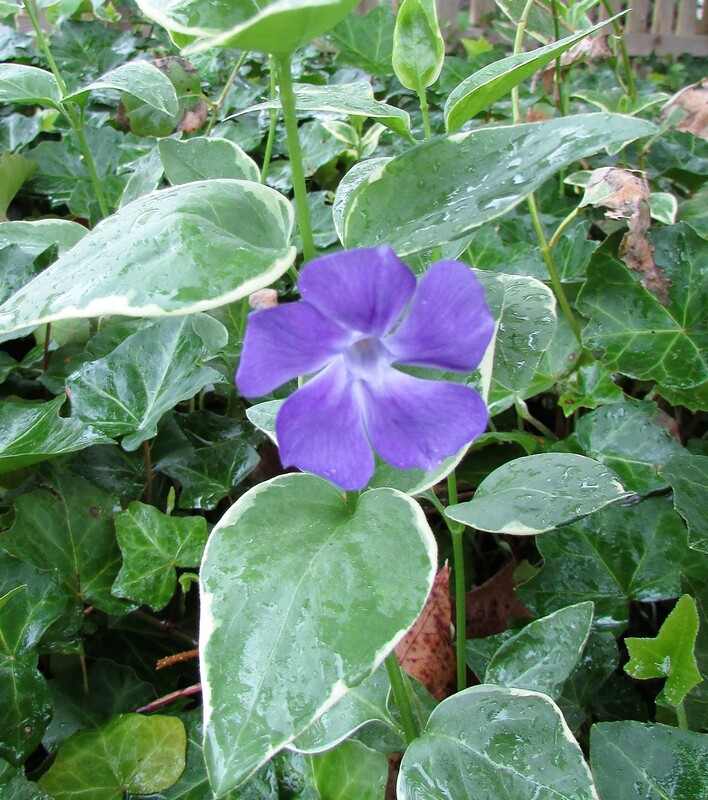 Some of the wild flowers, violets, etc., also bloom in that periwinkle/purple shade. The great thing about the purples is they are okay year round. Thanks Susie…have a lovely day! So far the rains have done them good. I’ve been out there in the rain weeding and planting. The warm air will arrive on the weekend and the plants will do better if they have a day or two in cool weather to get a bit established before they deal with the blazing sun and heat. I love Spring, it has a lot of ups and downs in the weather, but right now, as I am writing this response to you the birds are outside singing their song of Spring to me. God is good! I have most of the same plants. I thought our lilac was hurt by a frost, but it may be about to bloom. Spring is glorious! 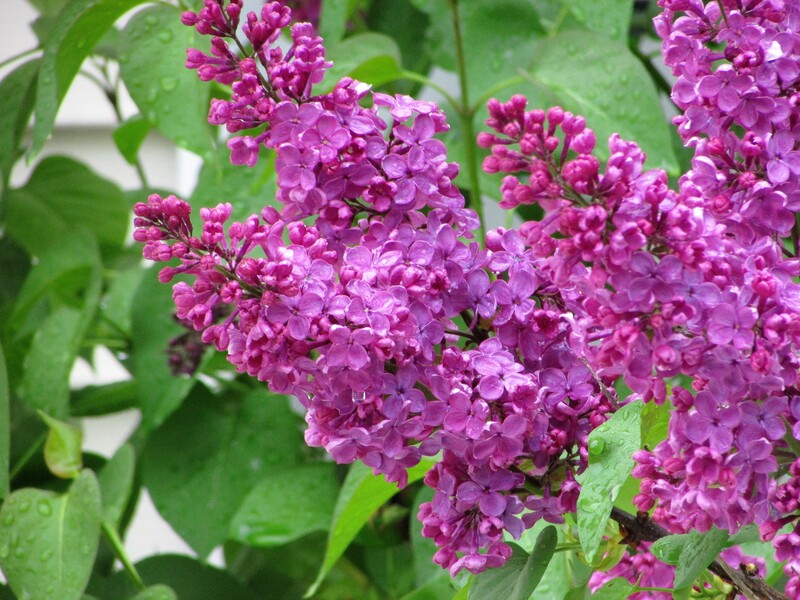 The lilac is my neighbors, but so close, it is mine to enjoy too. I love the scent they have. Yes, Spring is glorious! 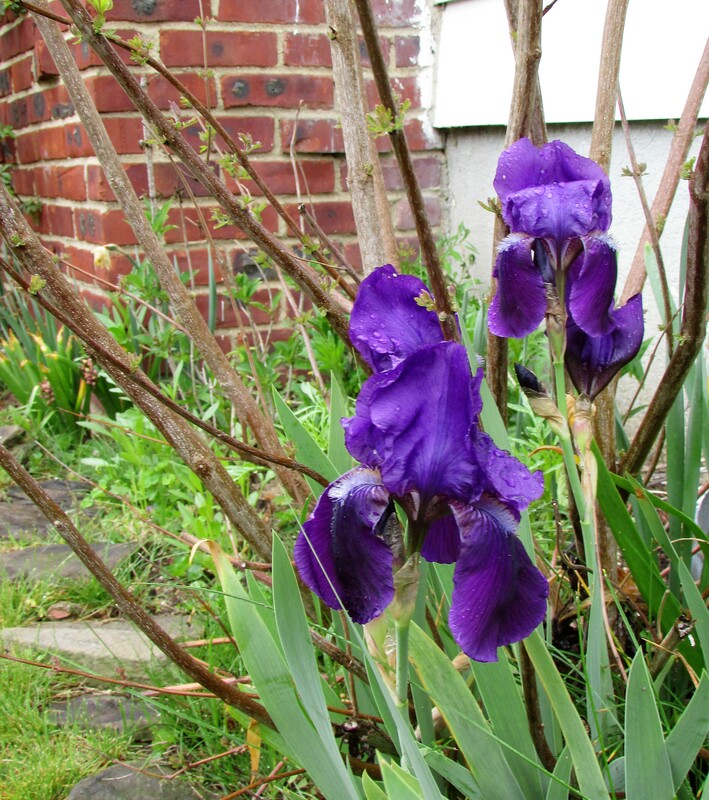 Hurray for Spring and Beautiful flowers.